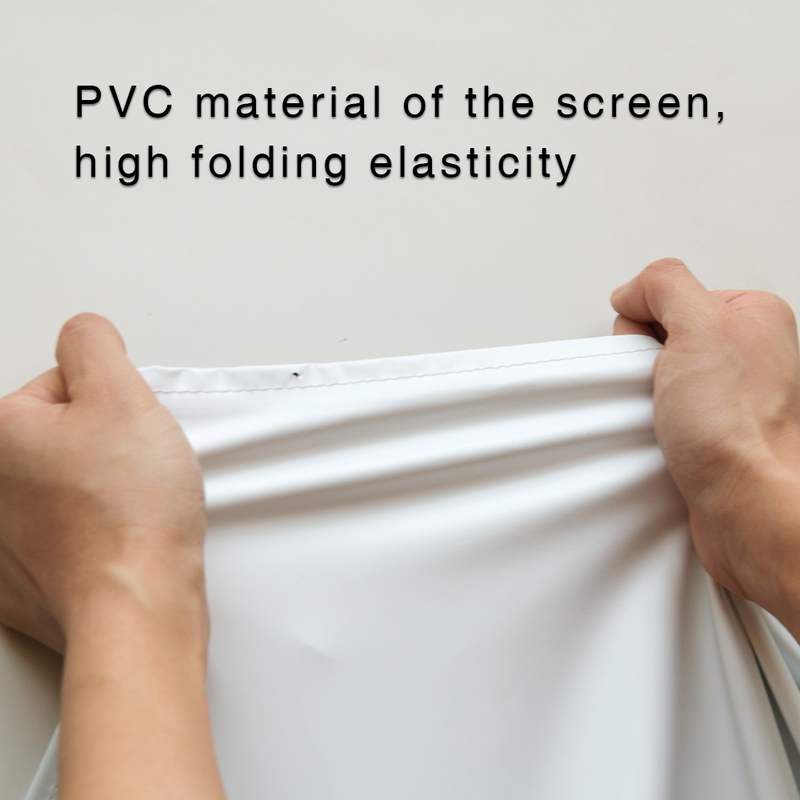 The white PVC material with gain 1.5 and 160-degree viewing angle provides a soft light. It supports 4K, UHD/HD projection. 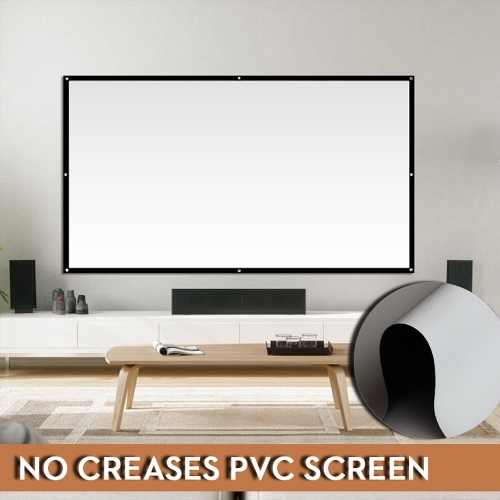 Meanwhile, LCD, LED, UHP projectors, long throw, short throw projectors are all good to use. 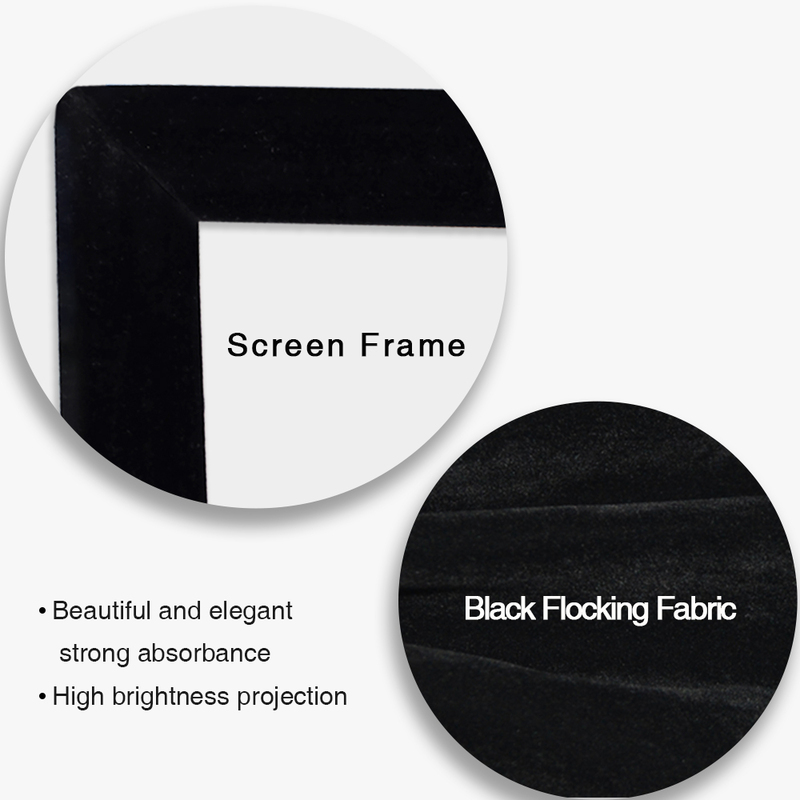 Lightweight aluminum frame finished with dense black velvet which improves the contrast of the picture. 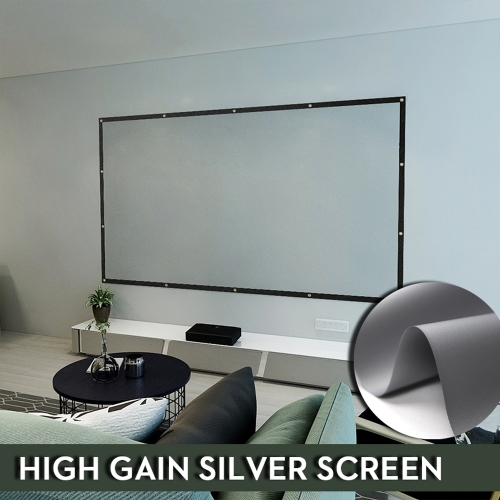 It helps to improve the visual quality of the picture itself while avoiding the influence of ambient light. 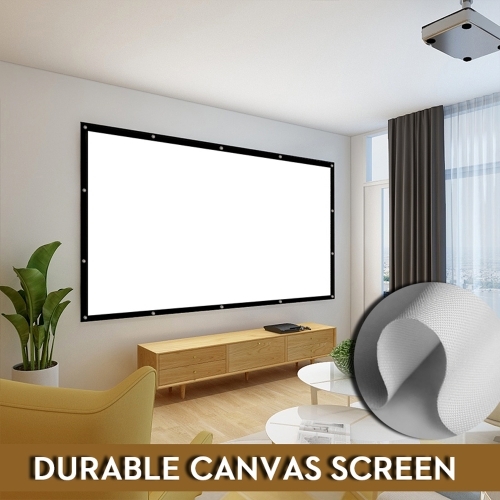 It also reminds you to focus on the image on the screen which improves the attention of the viewing. 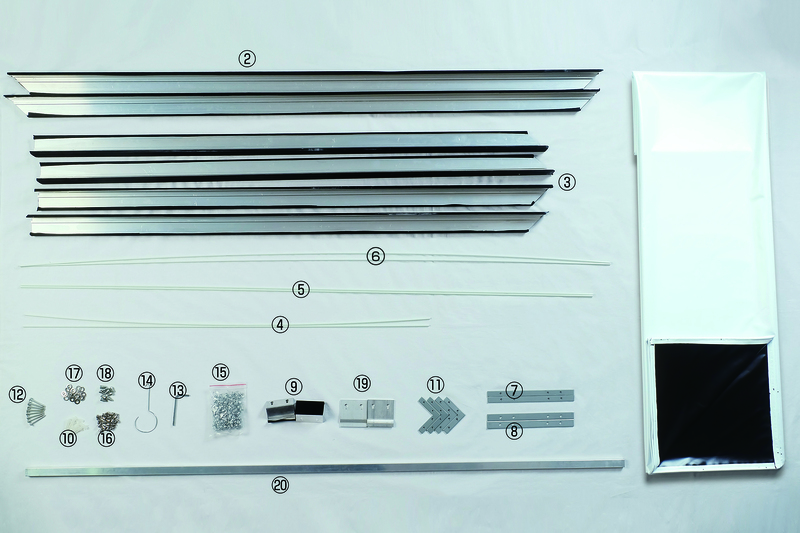 NIERBO provide all the installation accessories, such as hooks, screws, gaskets, rubber stoppers, fix cards and fiberglass rods. You could find them when you unpack the goods. We also have a very detailed description of each accessory in our user manual. Please feel free to contact us if you have any problems during the installation. 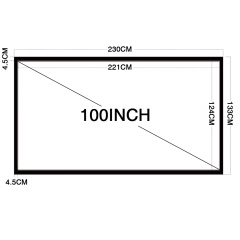 The frames can be assembled by the gasket and screws. 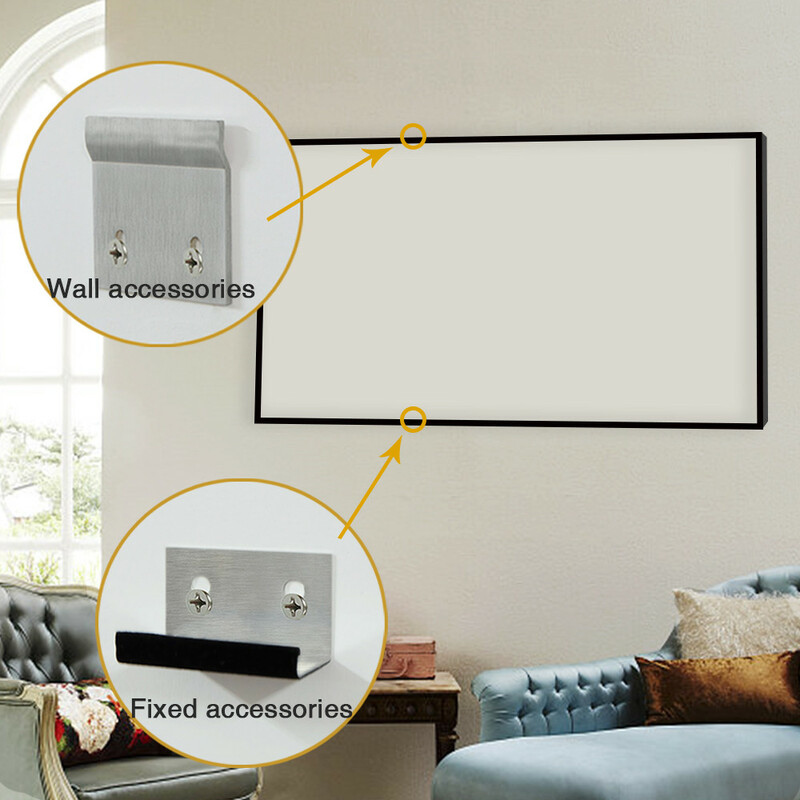 The 2 sliding wall brackets are also included for you to fix the frame on the wall. After installed, the whole frame can be moved easily. 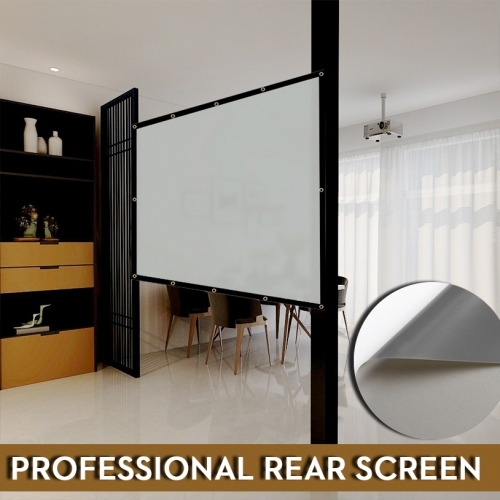 You can use it at home theater, large auditorium, exhibition, deluxe meeting room, party, outdoor cinema, backyard, camping, park, etc. Daytime and night are all suitable. 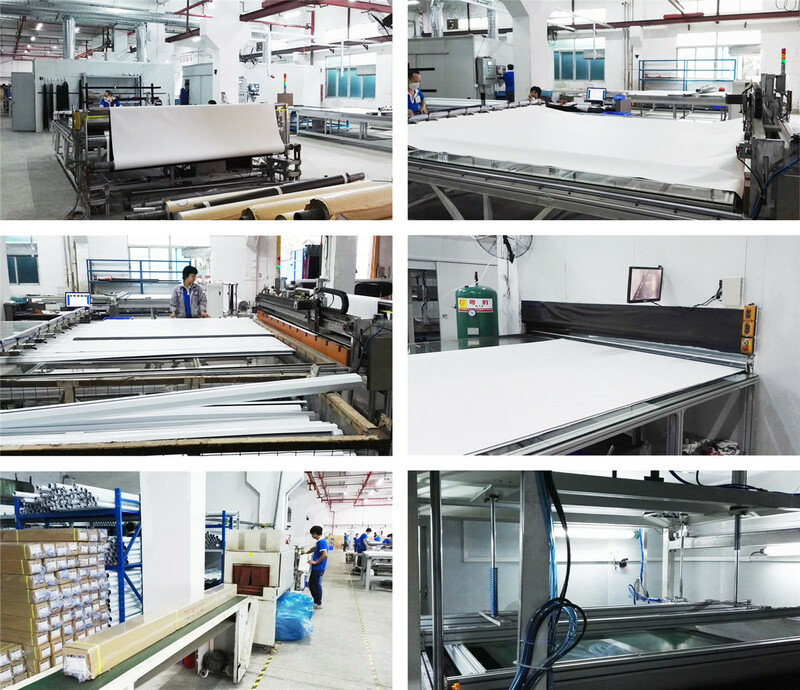 NIERBO products with 2 years' after-sales service. 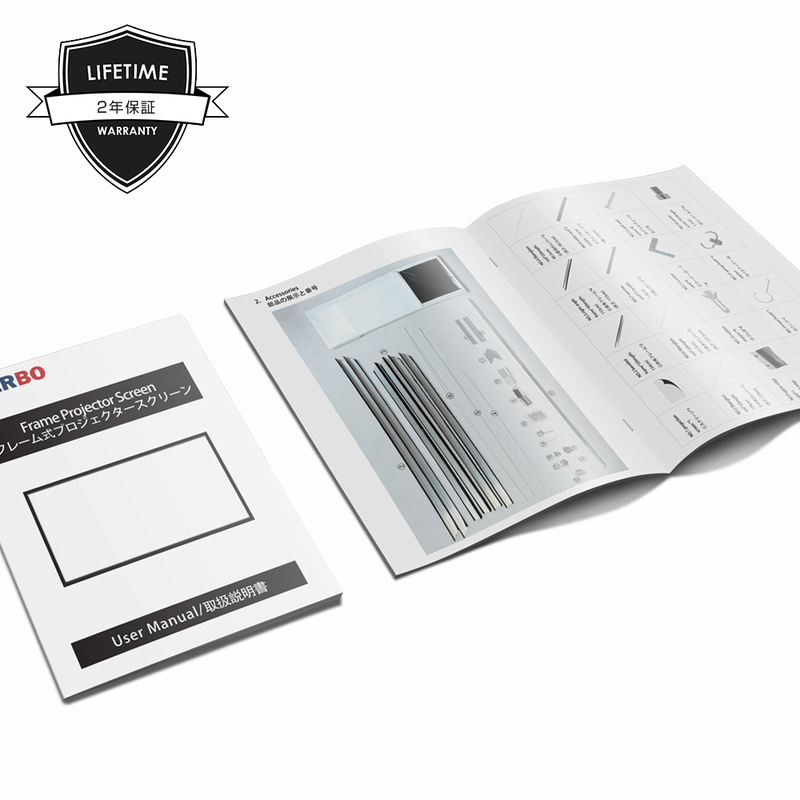 And the packaging contains a 12-page instruction manual with a clear flow, step-by-step image description, the installation can be completed easily. Please contact NIERBO if you wanna enjoy a high definition movie theater !